Nalgene Tritan Widemouth Clear Bottle. 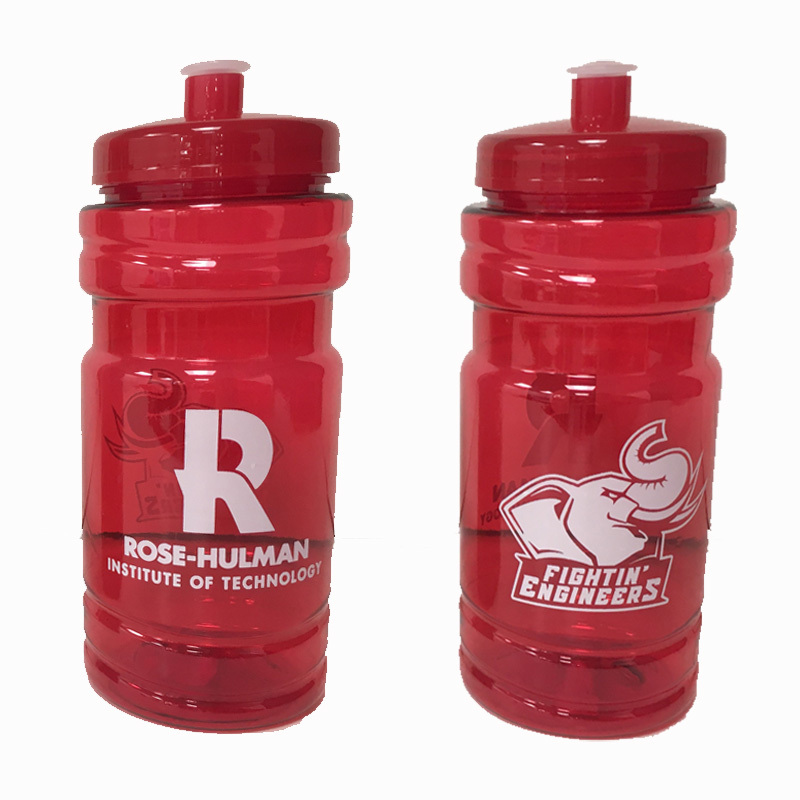 "R" over "Rose-Hulman" over "Institute of Technology" screen printed on the front of bottle. 32oz 1000mL markings on back of bottle. BPA free. Made in USA. Nalgene Tritan Widemouth Crimson Bottle. "Rose-Hulman" over "Institute of Technology" over "Fightin' Engineers" over "Est. 1874" down the side screen printed in white. 32oz 1000mL markings on back of bottle. BPA free. Made in USA. Nalgene Tritan Widemouth Smoke Bottle. "Rose-Hulman" over "Institute of Technology" down the side screen printed in white. 32oz 1000mL markings on back of bottle. BPA free. Made in USA. RFSJ 20 ounce cardinal water bottle. White "R" over "Rose-Hulman" over "Institute of Technology" on one side. White Rosie the Elephant over "Fightin' Engineers" on the other side. Swell LXG 17oz. Marble Water Bottle. Imprinted "Rose-Hulman" over "Institute of Technology" in silver. Swell LXG 17oz. Teakwood Water Bottle. Imprinted "Rose-Hulman" over "Institute of Technology" in silver. Swell LXG 17oz. White Water Bottle. Imprinted "Rose-Hulman" over "Institute of Technology" in silver.